Ultimately, all websites are driven by the same goal – motivating your visitors to do something. The success of your site depends on that action being taken. When a visitor takes the desired action, you’ve had a conversion. Attracting visitors is relatively easy. The challenge is converting them. And that’s the purpose of your landing page. The following are frequently asked questions as well as key features of successful landing pages. First of all, what is a landing page? A landing page, sometimes known as a "lead capture page" is a single web page that appears in response to clicking on an online ad, a search result or a link through an email or social media. Landing pages display tailored copy that matches the advertisement, search result or link. The general goal of a landing page is to convert visitors into customers or sales leads by capturing information on who the visitors are and what they converted on. How does a landing page differ from a homepage? A homepage is the door into your website. It introduces visitors to your brand and offers them multiple pathways to follow in navigating your site. When you think of a landing page, think simplicity. A landing page will focus on one topic and guide your visitor to take a specific action such as making a purchase, completing a registration or subscribing to your site. So, think of a landing page as a door into a room within a house. It takes visitors to a specific place, usually for a specific purpose. 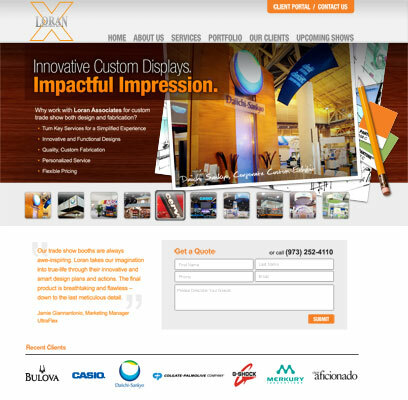 Generally, landing pages offer visitors some type of goods in exchange for information. This information will provide you with insight into this client and a way to follow-up with them. The more valuable the offering on a landing page, the more successful the landing page will be. What types of goods can you offer? Answers to their problems or questions. As an authority in your field, you can offer visitors your additional content, free of charge, in the form of newsletters, ebooks, whitepapers or webinars. 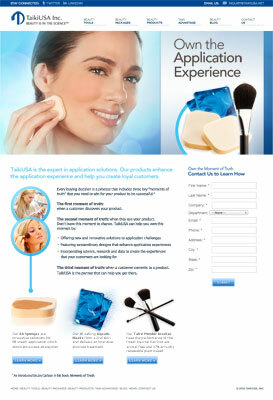 You can also offer marketing specials such as free trials, demos or coupons. Is one landing page enough for a website? No. The most successful landing pages are targeted to specific audiences. You must know your audience and understand their needs. By building your client personas - descriptions of your client types that detail the demographics, behaviors and attitudes of your users, you'll be able to segment your potential clients. By developing personas and segmenting your clients, you'll have the opportunity to meet the different audiences' interests and needs with more targeted and relevant offers. You'll want to have a landing page for each different offer. Below you'll find a landing page that we built for the global technology company NCR. One of the many products that NCR offers is a Point-of-Service System which allows businesses to complete transactions via their IPad, IPhone, or IPad touch. Having a thorough knowledge of their customers, NCR understands that food truck businesses are very interested in this product. We've tailored the copy and visuals of this landing page to appeal to food truck owners. Segmentation and targeting are critical to building landing pages that convert. There are additional key features that you'll want to include in your strategy when developing your landing pages. 1. Single Call-to-Action - There should be one "call-to-action" (CTA) for visitors to follow. The simplicity of a single action to take ensures that visitors will not get lost clicking on links that take them to various areas of your site. Limit the links and place the CTA above the fold where it's easy to see. 2. Attention grabbing headline - Make sure the headline matches the reason why the visitor is coming to the page. 3. Testimonials -If possible, use a testimonial. Word of mouth is one of the most trusted research methods that consumers use. So, with brevity in mind, share some of your success stories. 4. Short, optimized copy. Use very simple language to convey your message and organize your text into bite-size chunks that are easily scanned. Bullet points are a great tool to use. Optimized copy is critical too. You need to know and include the keywords that bring your audience to your site. 5. Quick form to complete - You don't want to lose your lead because they didn't have the time or interest in filling out a detailed form. Keep it to the point. During your follow-up, you can expand on information concerning their needs. 6. Conduct A/B testing - It's difficult to create the perfect landing page on the first try. Experiment with different landing pages. Headlines, visuals and CTAs are some features that you can test to determine which attributes convert the most visitors. 7. Social Media Buttons-Your visitors have their own networks of contacts. Give them the tools to easily share your page in social media. You'll be expanding your reach beyond your direct network. 8. Images, Graphics ..... Visuals -Pictures are what the human eyes seek first and linger on the longest. You want to include compelling visuals that speak to your audience. At the same time however, steer away from cluttering up your page with stock photos and clip art. As with all areas of a landing page, simplicity is most important. ...and of course as mentioned before...don't forget to segment your audience and target your landing pages! Are you looking to capture more leads? Are your landing pages converting your visitors? The Internet Marketing team at Ridge Marketing is available to make some recommendations. A full service creative agency based in NJ, Ridge Marketing can help you with all aspects of your inbound and outbound strategy. Give us a call.